Below are the top 6 countries that query bimetallic barrel the most last month. Taiwan is top country who query Bimetallic Barrel the most. The impression is 140. The second country is United States. India, Australia, China, Spain and Brazil are also interested in the Bimetallic Barrel of Shanghai Omega. Our professional team has manufactured the bimetallic barrel and screw with high quality elements. This barrel is known for its two types of functionality material. We used normal steel for manufacturing the base of this barrel. However, the working surface of our barrel is made of a specially alloy layer. 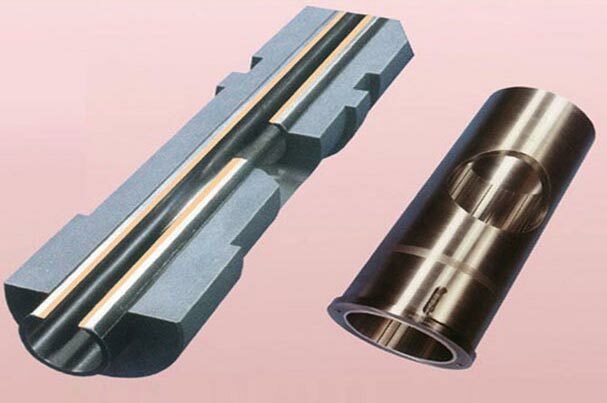 We have chosen this alloy layer because corrosion resistance and wear resistance characteristics. We casted this alloy layer by using the centrifugal casting. We reveal you the clear image about the overall design of our bimetallic barrel and assist you identify how you can take advantage of this barrel for your industrial applications.